Don’t you want to make a few of these? 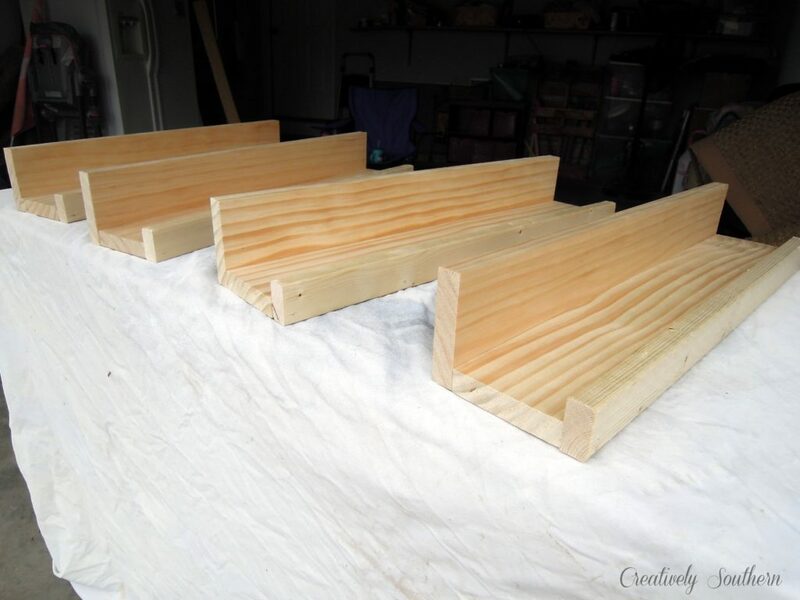 You could use them for picture ledges (ummm, I think that’s what they are really called) or bookshelves like you see here. Or just display whatever strikes your fancy! I don’t have a saw at home (what!? What kinda DIY girl doesn’t have a saw? shame on me.) so let’s have one of the helpful worker’s at Lowe’s cut these down to size for us. 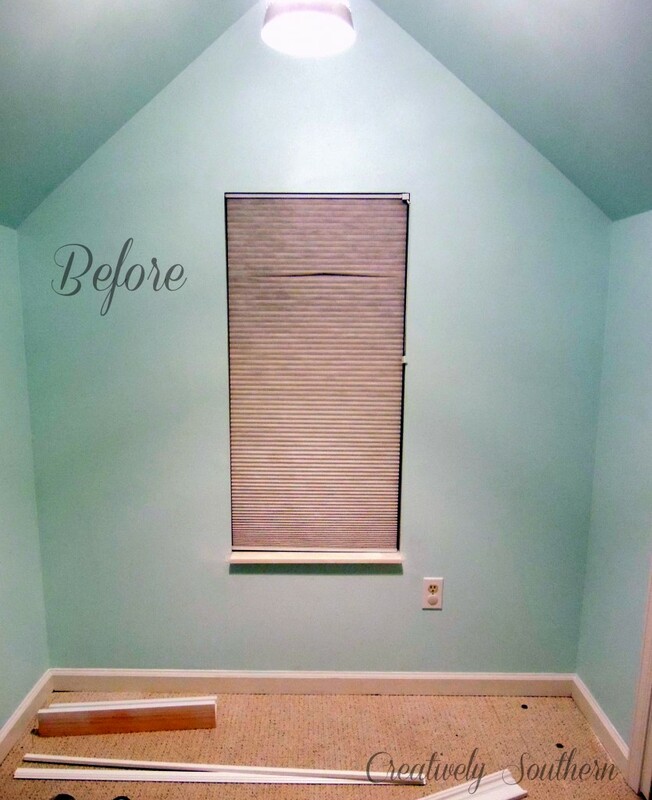 You’ll want to be sure to measure you space for the size you need. 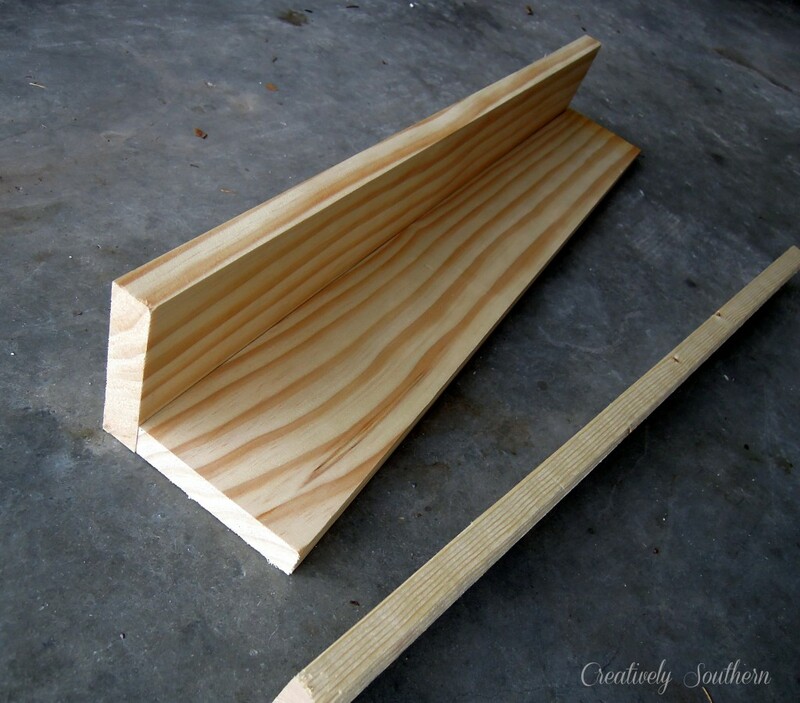 For the reading nook wall, I had each piece cut into 22″. 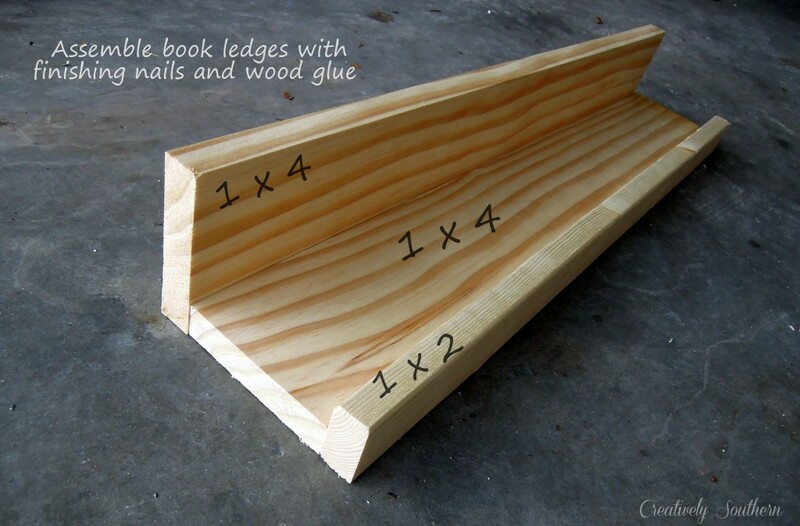 That gave me enough to make the four wooden bookshelves. What is up with that dirty garage floor? I put one thin coat of primer on the bookshelves by just brushing it on quickly. 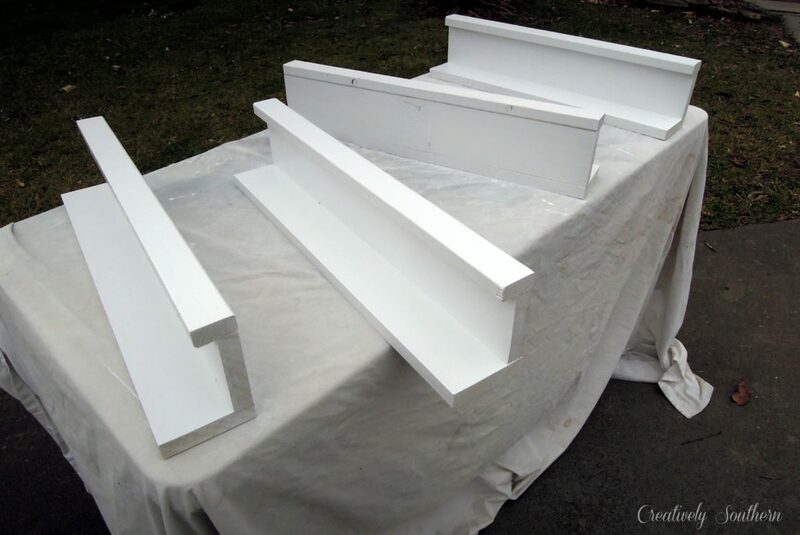 Then I used Rustoleum’s Paint and Primer in One in white satin finish. It’s my favorite spray paint! Rainy day picture alert!! Just my luck that it started sprinkling once I got two coats on. Oh well, we just moved the project back inside the garage and put on another coat of paint! Once these are dry, mark your holes where you want to hang them. 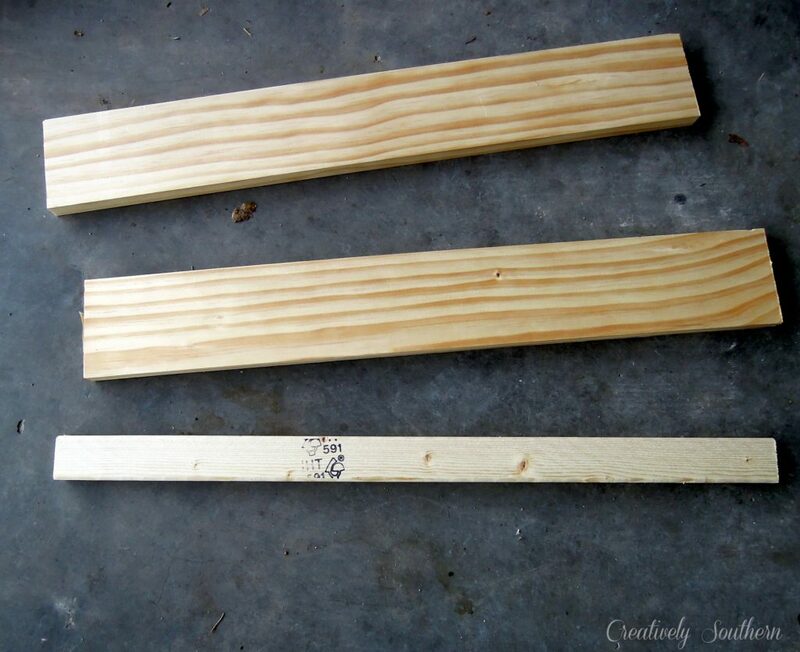 Drill two holes in the back of each shelf to hang. I drilled pilot holes in my wall, but if you use self-drilling sheet rock anchors you can skip that step. I just like using power tools, so it was a good excuse. And by the way, I bought the heavy duty anchors that hold like 75 pounds each. You know, just in case my toddler tries to climb these or something crazy like that!! BAH! That’s all there is to folks! 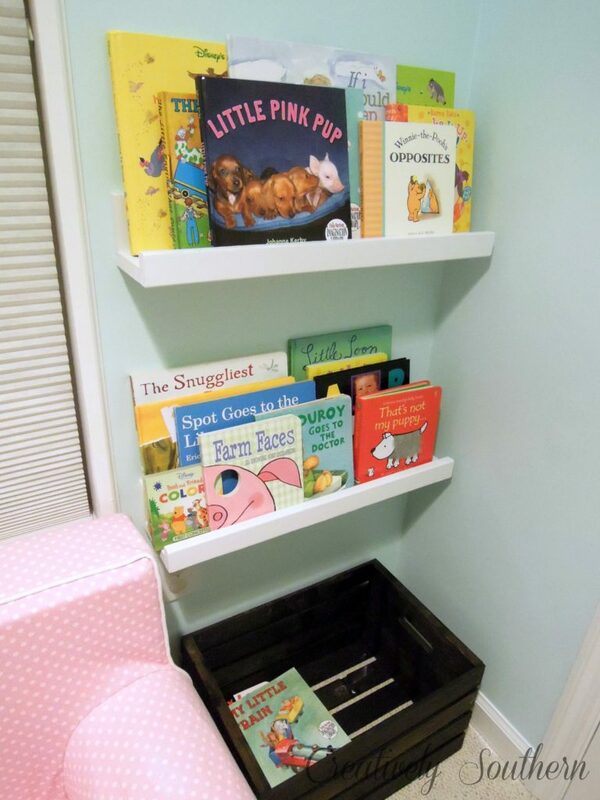 Add your books and settle in for a little story time with your sweet little tot! I’m so excited to have these bookshelves in! I still have lots to do in this closet reading nook, but we are well on our way to marking off one of my New Year Goals for 2013! « Why Switch to WordPress? Forget the kids. I want these for myself! Going in my bathroom1 Thanks! What a great idea! Love it! 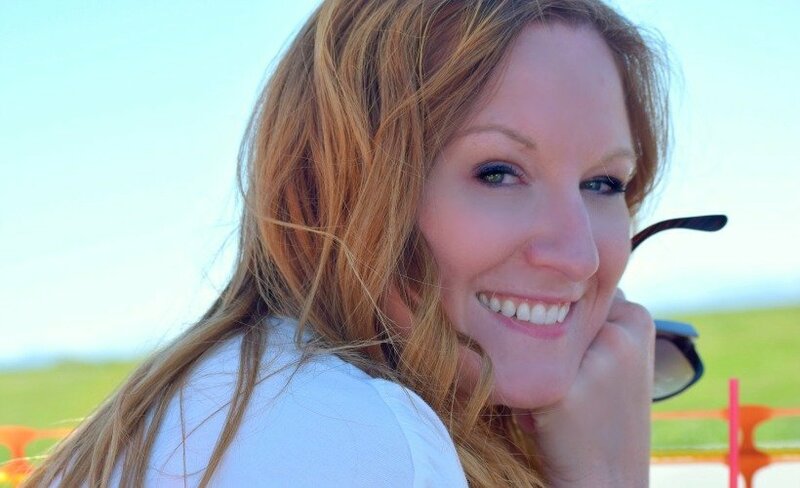 Thank you Kimber!! How adorable they turned out! And custom made for your space!!! Love them! 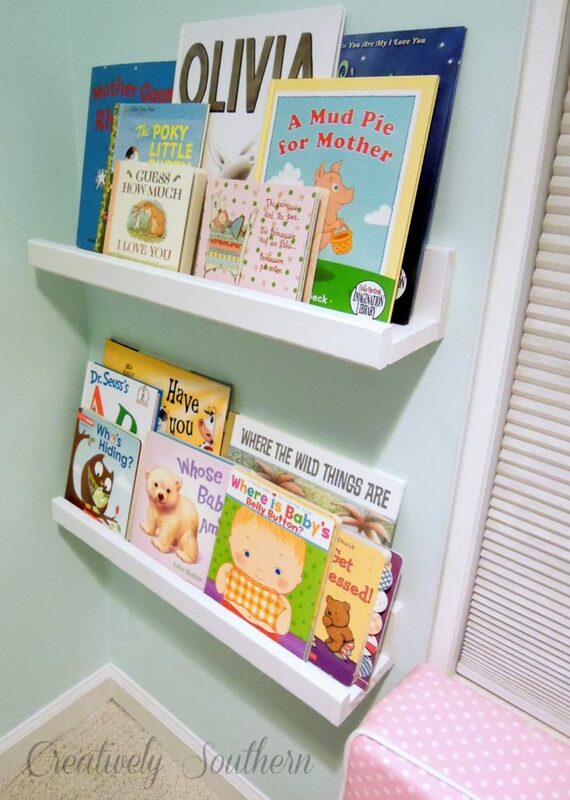 Such a cute way to display reading material! 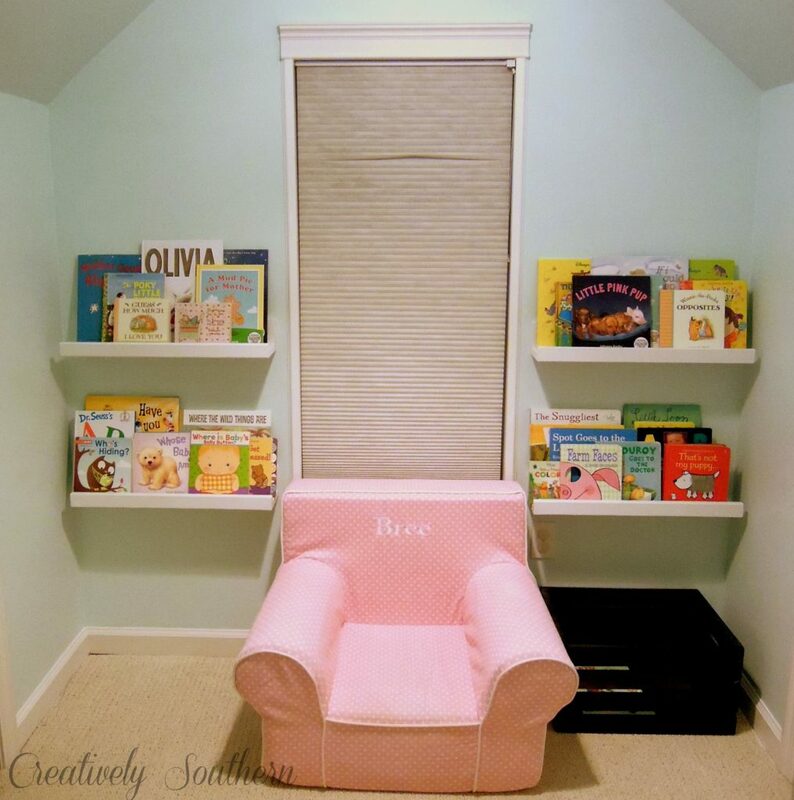 Most adorable little reading nook I’ve ever seen…such a great place to snuggle up! what a great space for reading! and good job on the shelves.